Thank you for stopping by the Science of Soul site, always good to have your company. 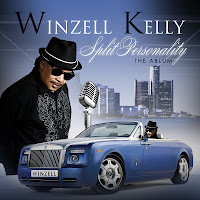 On this weeks show I feature Winzell Kelly, if he's is new to you then your in for a treat. Kelly has been member of The Dramatics for twenty years, a very accomplished song writer, musician and if that's not enough he posses a voice as smooth as silk. He debuted with The Dramatics on there 'Mellow Drama' album back in 1994, since then he has been a fixture. I remember getting that album from Coachman in Detroit seems like only yesterday, ( excuse my mind drifting lol ) This week we are looking at his solo project 'Split Personality' I think you'll like it.....I surely did. You might have noticed Mickey as installed a Soul Survey, It's located on the right hand side of the page at the bottom. Please take a second to look and click your soul preference, it helps us bring you the music you like to hear. Yet another great week on the Podcasts, I'm glad, such a number, many from so many different countries all over the world take time to listen, it's way beyond our expectation's. Yes well over a thousand listens now - so please continue to share us with your friends and fellow soul folks. 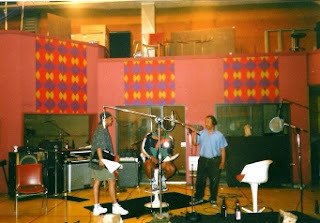 The more we grow the more we can achieve in spreading the soul vibe.The major labels seem to do very little in terms of 'real soul music' (don't get me started - lol) So my aim is to try and fill that void so the music we love can survive and flourish. If your new here or just been busy over the festive season remember to check out our Wilbe Records Special, because it's proved to be very popular, thanks for all your Facebook messages from artist's and the public in general with reference to this one, I hope to do others in the future. I'm looking to play a track from Teena Marie's new posthumous release "Beautiful," that's if it arrives in time for this weeks show, also I'm dipping into the back-catalog of one of my favorite groups, The Original's. 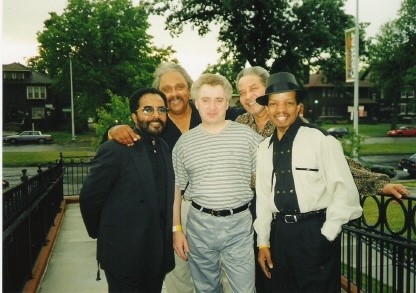 Hope you like the picture it was taken back in the day when I had hair ( lol, ) outside the Motown Museum in Detroit. Sadly only Hank Dixson survives from the original group, and I have to say it was a privilege to known each one of them. Just a quick reminder as we are getting so many new members to The Science of Soul family every week, you can still catch older show's you may have missed by just clicking older post's and go to whatever show you want to listen to whatever.....its all there to be shared. 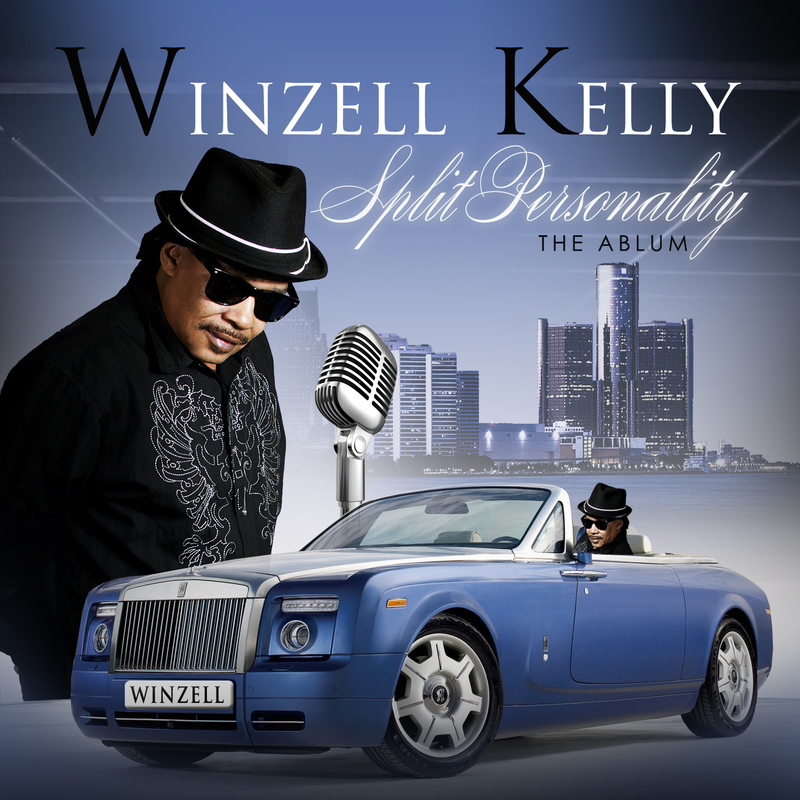 Soul music fans know the Winzell Kelly and they know his music. 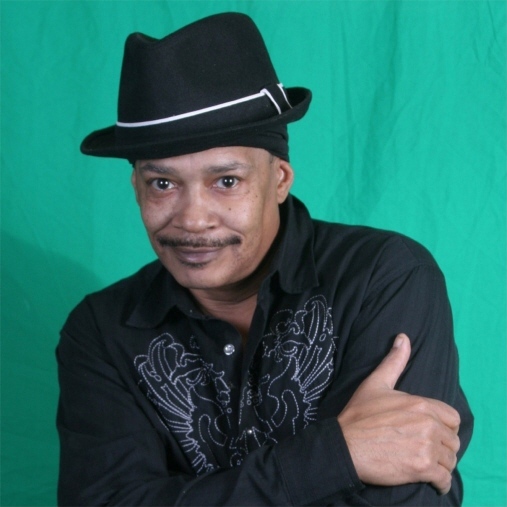 For nearly 20 years he has been a member of the legendary Dramatics and a mainstay in the major music scene. A Detroit native, Kelly began playing both bass guitar and saxophone as a teenager, while also singing in his church choir. As a young man he performed around the country with the Floaters and a latter day version of the Capitals before joining the Dramatics in the early 90's. For the past two decades, Kelly has spent the majority of his time touring with the Dramatics, but had both written and produced the group on the last few CD's as well well as outside the group. Winzell has spent 2 years hand picking songs for his new CD titled 'Slit Personality' that debuted in 2012, it includes ballads, dance music and a song titled 'Whats Your Maximum with A Reggae Flair' and hopes you enjoy.